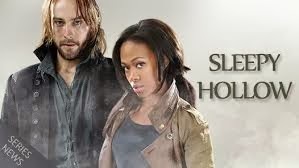 After going for two weeks without a new episode (preempted last week and a rerun before that), Sleepy Hollow slipped again in the ratings this time to a 2.5 rating in the 18-49 demographic with 7.1 million total viewers. And that was despite a guest appearance by Fringe‘s John Noble, although not certain we really could have expected much of a boost from a callout to that low-rated cult series. Still, Sleepy Hollow continues to deliver decent ratings for FOX despite its steady downward trend and there’s no reason to think they will change their minds on the renewal announcement for this one. Over on The CW, though, Beauty and the Beast still barely registers in the Nielsens as it scraped up another 0.3 score with less than seven hundred thousand viewers last night. That one is definitely headed to cancellation, it’s just a matter now of whether it will make it past mid-season which seems unlikely. On Sunday, The Walking Dead held steady from last week delivering another 6.8 rating in the 18-49 demo with 13.3 million total viewers. It beat out everything on cable and the broadcast nets for the night, including NBC’s Sunday Night Football as it continues its dominance of the small screen. On Lifetime, The Witches of East End held steady at a 0.7 rating with 1.6 million total viewers which continues count as a decent performance for that network. On ABC, Once Upon A Time seems to be drawing back some of its audience as it rose for a third week in a row despite competition from football. 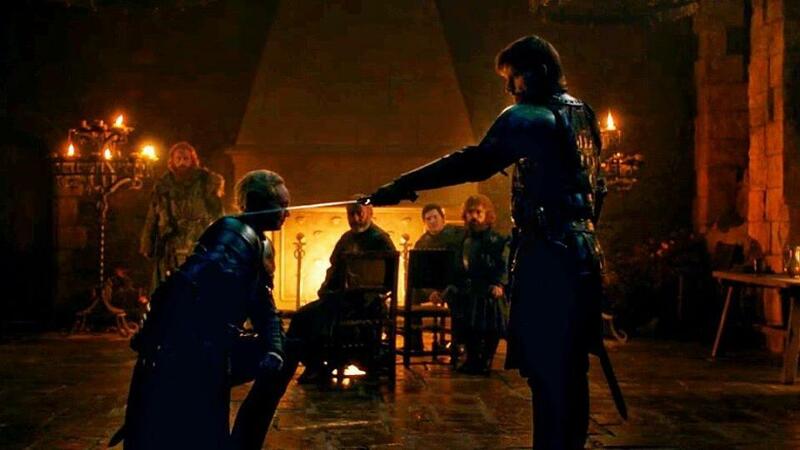 The latest episode pulled a 2.3 rating with seven and a half million viewers. That’s still well below where it was this time last season, but then Sunday in general has dropped for the broadcast nets year over year and relatively Once Upon A Time is doing well. It’s also in its third season which means that short of a ratings collapse ABC is almost certain to give it a greenlight for a fourth year. On Friday, Grimm and Dracula both dropped from their impressive premieres of the prior week. The former slipped to a 1.5 rating with right at five million total viewers while the latter dropped notably to a 1.3 rating with 3.4 million total viewers. For Grimm, that puts it right where it was averaging on Fridays last year and it remains safe (especially considering that it is in it third season). For Dracula, though, that was a half point drop in its ratings and puts it right on the cusp of what would be considered acceptable ratings for its timeslot and night where a razor’s edge margin can make a difference. If it stays there, consider it a bubble show. If it drops any further–which is likely considering the typical in season trend–then NBC will likely let it air out its planned ten episode run and claim that all along it was only intended as a mini-series. Also on Friday, ABC’s The Neighbors returned with a new episode, but didn’t improve its numbers any from its previous outing. It pulled a 1.0 score in the 18-49 demo with 4.5 million total viewers and continues the face the likelihood that it will be abducted from the schedule after mid-season. And over on Syfy, Haven continues to fly low with another 0.4 rating and 1.3 million total viewers. That one also currently stares at a likely truncated future. On Thursday, Vampire Diaries lost out to trick or treaters as that show sunk to a season low of a 0.9 rating with 2.1 million total viewers. Expect it to improve next week, though, when it doesn’t have to contend with kids and costumes. Once Upon A Time in Wonderland was preempted, but it can’t bode well for the show when a nearly 50 year old repeat of It’s The Great Pumpkin Charlie Brown outpaced Wonderland‘s previous rating by more that a full point (Charlie Brown pulled a 2.2 score vs. Wonderland‘s 1.1 from the prior week). The good news, though, is that Wonderland survived the weekend even though ABC announced the cancellation of a different (non-genre) show. They may keep it around for the next couple of months to air out its episodes, but don’t count on anything from that one beyond its first season order. Firefly, the popular TV series created by Joss Whedon, comes to life in a new boardgame from Gale Force Nine and Twentieth Century Fox Consumer Products! In Firefly: The Game, players captain their own Firefly-class transport ship, traveling the ‘Verse with a handpicked crew of fighters, mechanics and other travelers. As a captain desperate for work, players are compelled to take on any job: so long as it pays. Double-dealing employers, heavy-handed Alliance patrols and marauding Reavers are all in a day’s work for a ship’s captain at the edge of the ‘Verse!